Great starter home, great for young family. 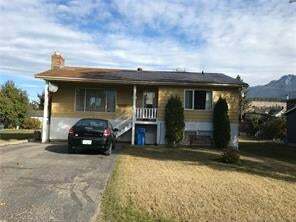 Good location, this 3 bdrm, 2 bath home has full finished basement with walk-out. Large family room, and 3rd bdrm in basement. L-shaped living room, dining room, living room has wood burning fireplace. Large deck in rear of house. Good potential to suite this house. Fenced yard, back alley access. Neat and tidy.